Veronica and Christine met a few years ago at the local village community theatre group near Settle in North Yorkshire. In no time at all, they recognised their natural, creative comedy and drama partnership, and similar mad sense of humour by forming Lippy Logic. "We couldn't find comedy and drama sketches for women of a certain age to perform. So we just sat down and wrote our own - which were first received with critical acclaim at the Grassington Festival Fringe in 2013. This only encouraged us to do more!". Lippy Logic has quite a reputation for its unique combination of laugh-out loud comedy and touching drama in short sketches. We draw inspiration from life as we live it, including the rough and the smooth bits. No subject is out of bounds - from entertaining the WI to tense family relationships, gardening tips to The Tour de France. Our work combines sharp observation of the human condition with a love of the comic and absurd: reflective and uplifting we're told, and above all entertaining, funny and absorbing! Our shows suit small theatres, after dinner events, village and community halls and festivals. You can book us for an event, maybe to help raise fund for your community or organisation, or just contact us at info@lippylogic.co.uk. 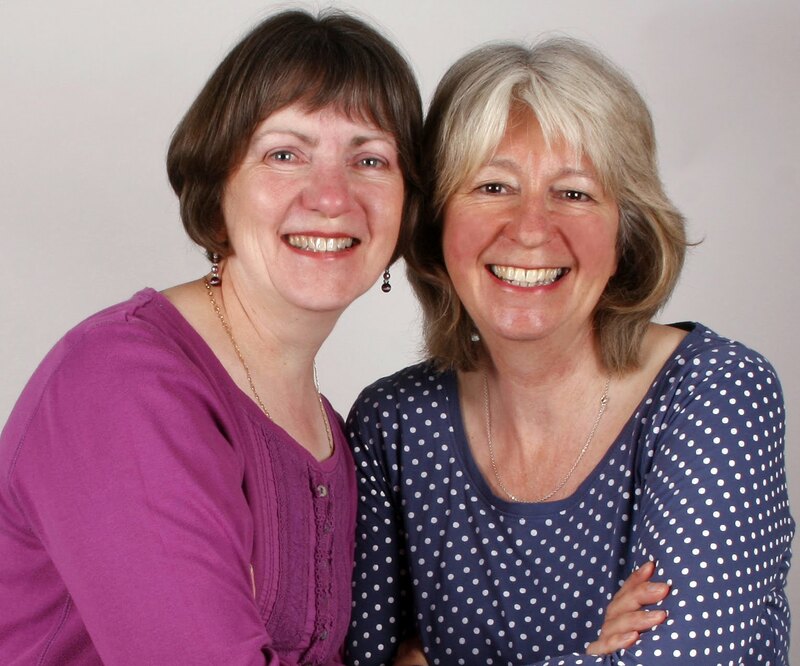 There's a chequered background there - Christine has run a village post office in the Yorkshire Dales for some years and Veronica is a professional photographer and copywriter. "Our husbands have endless patience with all the shenanigans involved in writing, preparing and rehearsing shows. They can be heard to heave great sighs of relief when the shows are over! ".